Roger could’ve let the kids play on his iPhone. But cut him some slack. It’s hard to know quite what to do when you’re a fish, and it’s a complicated world. 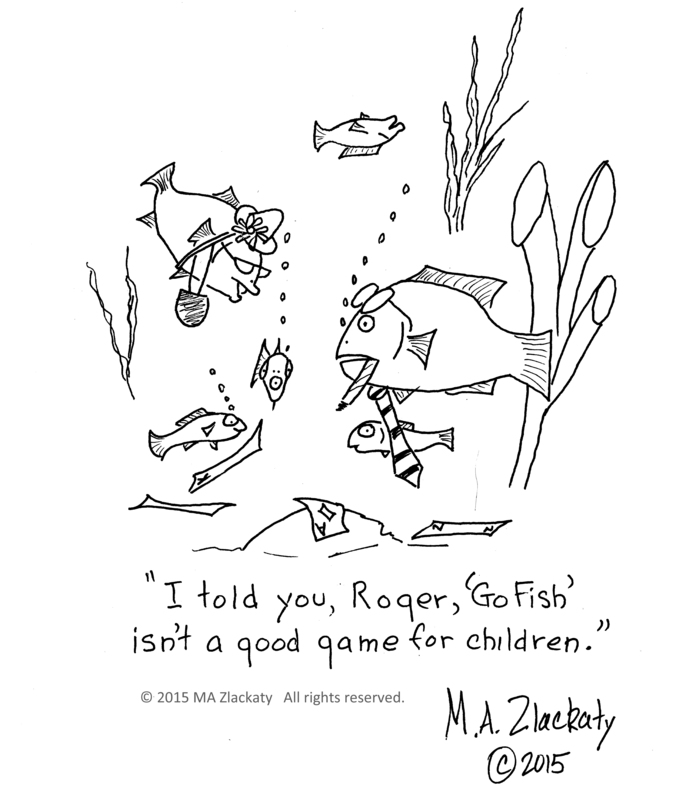 This entry was posted in The Jumble and tagged Cards, Cartoon, Children, Fish, GoFish, Humor, InTrouble, Kids, Seabed on May 31, 2015 by M.A. Zlackaty.